Erasmus Darwin. The Botanic Garden (in 2 Vols. ), The Golden Age/The Temple of Nature. ↤ 1 James V. Logan’s summary of some passages in The Botanic Garden (The Poetry and Aesthetics of Erasmus Darwin, Princeton Studies in English 15 [Princeton: Princeton University Press, 1936], p. 117). To consider Erasmus Darwin and Blake is to join the widening discussion over Blake’s knowledge and use of Science, and the debate over the sources of his information. This discussion has thus far found its most extreme formulation in Donald Ault’s important book, Visionary Physics. Ault’s book, it must be said, leaves some incredulous readers with the impression that Blake compassed the Principia—and while that may be true, it is important for accepting Blake’s active use of scientific ideas to realize that they were available through various and more popular sources. If, for example, one stands the scientifically acute Swedenborg on his head, as he did Newton, one ends up with a kind of basic Newtonianism again: core ideas can be disseminated through unlikely texts. Erasmus Darwin is similarly important for Blake studies—turned on his head, considered in the light of what he was attempting rather than the way it was realized, one could argue that Darwin is the English poet contemporary with Blake who most shares Blake’s breadth of vision and his aim of ushering in the reign of “sweet science” (FZ finis).2↤ 2 Students of Darwin, who usually delight in showing his considerable presence in the imaginations of the Romantics, have been at an imaginative loss in dealing with Blake. For Desmond King-Hele, “Blake detested the technology celebrated in The Economy of Vegetation, and was probably none too pleased that his superb engravings contributed to the poem’s success” (Doctor of Revolution: The Life and Genius of Erasmus Darwin [London: Faber & Faber, 1977], p. 306); Donald M. Hassler finds that Blake “did not use [like Shelley] science as a rhetorical foundation for his Platonism. . . . Blake had no reason to be indebted to Darwin and, in fact, deliberately stayed away from Darwin more than did any other Romantic” (Erasmus Darwin, Twayne’s English Authors Series [New York: Twayne Publishers, 1973], p. 127). Whether or not Blake actually works from some of Darwin’s images is not the real issue here; what is important is that Darwin represents a conduit of the latest scientific information easily available to Blake: “there is no better way,” writes one historian of the period, “of ascertaining the state of science in 1789-90, or a more agreeable one, than by consulting Darwin’s poems and his voluminous notes.”3↤ 3 Francis D. Klingender, Art and the Industrial Revolution, ed., rev. Arthur Elton (New York: Augustus M. Kelley, 1968), p. 39. We can assume that Blake read The Loves of the Plants (LP), as did nearly everyone else in 1789. It was published by Joseph Johnson (as were Darwin’s succeeding works) though an arrangement which Fuseli evidently helped to bring about.4↤ 4 Fuseli acted as the initial go-between for Darwin and Johnson (King-Hele, p. 162), and Darwin effusively praises the “nightmare . . . mark’d by FUSSELI’S poetic eye” (The Loves of the Plants, III.51ff.). Two years later, Blake undoubtedly had read the succeeding volume, The Economy of Vegetation (EV, dated 1791, probably published May 1792), since he engraved and in part designed several plates for the first edition (another followed in a later edition). 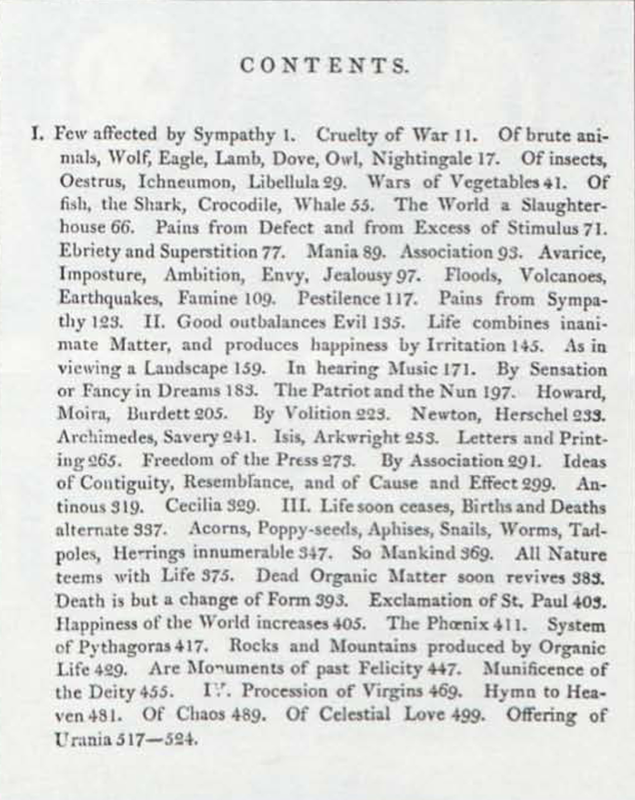 These two titles represent, respectively, Part II (already in a third edition) and Part I of The Botanic Garden, the order of publication reflecting an astute marketing decision since the more “scientific” Part I proved less spectacularly popular than the sexual double-entendres of The Loves of the Plants. Given this history, it seems probable that Blake also read parts of Zoonomia (Z; 1794-96), the most significant of Darwin’s mammoth prose works. Almost forgotten today, Zoonomia enjoyed wide republication and influence,5↤ 5 King-Hele reports that “The European Magazine quoted the opinion that Zoonomia ‘bids fair to do for Medicine what Sir Isaac Newton’s Principia has done for Natural Philosophy,’ and the Monthly Magazine thought it ‘one of the most important productions of the age’” (p. 241). being commonly linked with such better remembered radical works as Political Justice and The Age of Reason. Primarily as the result of a concerted reactionary attack,6↤ 6 See Norton Garfinkle, “Science and Religion in England, 1790-1800: The Critical Response to the Work of Erasmus Darwin,” Journal of the History of Ideas, 16 (June 1955), 376-88. The most effective attack was a sustained parody appearing in the first issues of The Anti-Jacobin Review (1798); entitled “The Loves of the Triangles,” it is thought to have been authored by George Canning and two collaborators. Darwin’s reputation collapsed and his posthumous poem, The Temple of Nature (TN, 1802),7↤ 7 The poem is so named only on the title page, reflecting a last-minute change from the announced pre-publication title (then subtitle), The Origin of Society. met with little success. However, begin page 37 | ↑ back to top as the most interesting and satisfying of Darwin’s poems, and one again illustrated by Fuseli, it seems likely to have attracted Blake’s attention. Like Hayley, Darwin is little read today—poetically he seems to merit regard mostly as a quintessential example of the diction against which the “Preface” to Lyrical Ballads exclaims.8↤ 8 According to Coleridge, “Dr. Darwin laboured to make his style fine and gaudy, by accumulating and applying all the sonorous and handsome-looking words in our language. This is not poetry . . . .” (Hassler, p. 100). James Logan concludes that Darwin offers “a supreme example of bad taste in ornate language” (p. 141). But as encyclopedias—and all three poems, with their indexes, their very extensive Notes, and still more extensive Additional Notes force that comparison—they are fascinating. And for the poet who, as W. J. T. Mitchell reminds us, delights in encyclopedic form, Darwin would represent a benighted but sincere fellow-traveller, some of whose entries were worth studying. And with respect to the present viability of Blake’s science-based imagery, it is significant that Darwin was in fact one of the most knowledgable scientific intellects of the age,9↤ 9 Many quotations could be introduced here; Coleridge again, before he soured on Darwin, wrote of “ . . . Dr. Darwin, the everything, except the Christian! Dr. Darwin possesses, perhaps, a greater range of knowledge than any other man in Europe, and is the most inventive of philosophical men. He thinks in a new train on all subjects except religion”; King-Hele writes, “Though I may be biased, I regard Erasmus Darwin as the greatest Englishman of the eighteenth century” (King-Hele, pp. 260, 323). In addition to his own writing Darwin translated Linnaeus, founded the famous “Lunar Society,” was so noted a doctor that he was requested to become the Royal Physician, and was Charles Darwin’s grandfather. making reference to the latest theoretical and experimental work in his poems and notes (for example, the OED says the The Botanic Garden offers the first English appearance of “hydrogen”). Given such an accurate state-of-the-sciences, perhaps the Poetic Genius could extrapolate future developments (“What is now proved was once, only imagin’d”10↤ 10 MHH 8; Blake citations are taken from David V. Erdman, ed., The Poetry and Prose of William Blake, 3rd printing rev. (Garden City, N. Y.: Doubleday, 1968). . This discussion will offer some examples of how Blake could have built on images and concepts supplied by Darwin—images and concepts available elsewhere, to a regular reader of Philosophical Transactions for instance, but most accessible to us, and possibly to Blake, in their strange poetic and annotated guise. Here the syntax indicates that his spectre consists—in part—of the fibres of nerve, vein, and lacteal which Enion weaves into “a form of vegetation”: “She drew the Spectre forth from Tharmas in her shining loom / Of vegetation” (6.1-2). 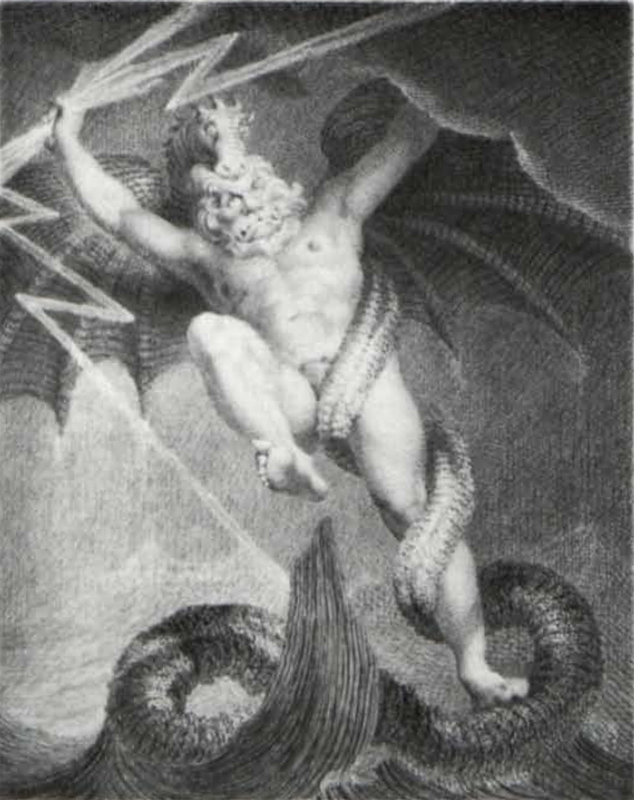 Blake would not have been the first to connect the primordial fibre (line) and the Parent power—shortly after Zoonomia was published, Richard Edgeworth wrote the author to say that the attempted deistic cover-up did not deceive him: “Your Ens Entium is the same as your living filament—your God of God!” (cited in King-Hele, p. 251). For Blake also they are the same: “this Spectre of Tharmas / Is Eternal Death;” the present embodiment, perhaps, of the Darwinian powers of life that “seize, digest, secrete,—dispense / The bliss of Being to the vital Ens” (TN I.149-50, cf. 446). The creation of the circle of Destiny, the Ulro, the system of generation is Blake’s beginning, the darkning of the Parent power which underlies Darwin’s spurious homage to an apparent “Parent of Parents” and governs his self-confident vision of comprehensible, ultimate Nature. 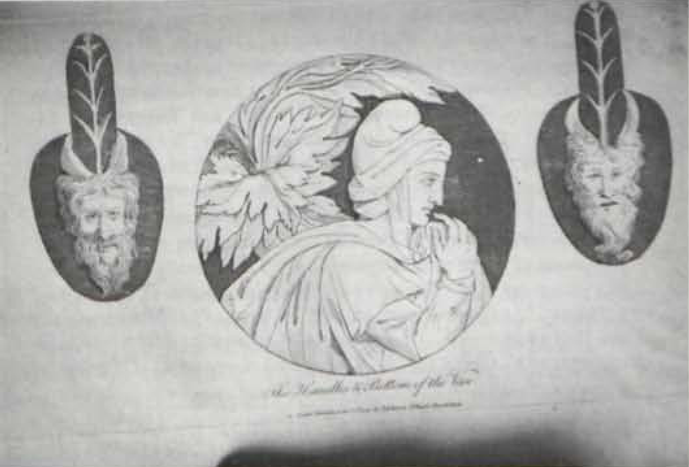 This first in a series of incomplete revelations shows Los, Blake’s “giant form,” trying to engineer a Darwinian apocalypse—his vegetable hands representing the admittedly grand extension of a vegetable imagination (“Thus all the suns, and the planets, which circle round them, may again sink into one central chaos; and may again by explosions produce a new world; which in process of time may resemble the present one, and at length undergo the same catastrophe! these great events may be the result of the immutable laws impressed on matter by the Great Cause of Causes, Parent of Parents, Ens Entium!” [TN IV. 453n.]). Los’ dramatic action, after all, comes from being “Terrified at Non Existence / For such they deemd the death of the body.” Natural Religion or Deistic Science seizes, orders the heavens out of a fear of Non-Existence, the state of “the Spirit” (cf. 117.3-4).13↤ 13 If these illustrations do have any relevance they would necessarily posit a post-1802 date for the composition of the two passages from The Four Zoas. The power and appeal of Darwin at his best are evident in the following lines from The Economy of Vegetation, about which Walpole wrote a friend in May 1792, “the twelve verses that by miracle describe and comprehend the creation of the universe out of chaos, are in my opinion the most sublime passage in any author. . . . ”:17↤ 17 Walpole also wrote of the poem, it “is so deep, that I cannot read six lines together and know what they are about, till I have studied them in the long notes” (The Letters of Horace Walpole, ed. Mrs. Paget Toynbee [Oxford, 1905], XV, 110). And form, selfbalanced, one revolving Whole. Space without bound, THE BOSOM OF THEIR GOD! The Miltonic description, “self-balanced”—Characteristically expanded to refer to an entire stellar system rather than just the Earth—perhaps enters into Blake’s various usages of the image, but far more significant is Darwin’s idea of planets born by explosions: a note adds, “If these innumerable and immense suns thus rising out of Chaos are supposed to have thrown out their attendant planets by new explosions, as they ascended; and those their respective satellites, filling in a moment the immensity of space with light and motion, a grander idea cannot be conceived by the mind of man” (italics added). As the moon anguishd circles the earth; (BA 2.38-40) The most far-reaching concrete analogies are set up and then spiritualized, so that Los includes the total imagistic potential of the sun and so forth. Another recent critic finds Darwin behind the “biogenetic creation” in The Book of Urizen. Unfortunately, D. C. Leonard23↤ 23 “Erasmus Darwin and William Blake,” Eighteenth Century Life, 4 (March 1978), 79-81. uses relevant quotations to support forced relations. Darwin, to repeat, is spectrally present in Blake—his importance lies in the compendium of scientific imagery he offered rather than in massive direct influence. Consider, for example, as Leonard does, Darwin’s memorable lines on embryonic development as exemplified in the crocodile. The passage itself, significantly, is introduced to establish a comparison with seed development, the subject of preceeding lines. To suggest the less specific but more pervasive nature of Darwin’s “influence” on Blake, we must look at the movement of these eighty-some lines as a whole, for their real (and Blakean) burden is a vision of interpenetrating, interacting correspondences. The Botanic Muse opens the subject by addressing her “Sylphs,”24↤ 24 Darwin stated at the outset of the poem that the Sylphs, together with the Gnomes, Nymphs, and Salamanders of Rosicrucian doctrine, afford “proper machinery for a philosophic poem; as it is probable that they were originally the names of hieroglyphic figures of the Elements, or of Genii presiding over their operations. The Fairies of more modern days seem to have been derived from them. 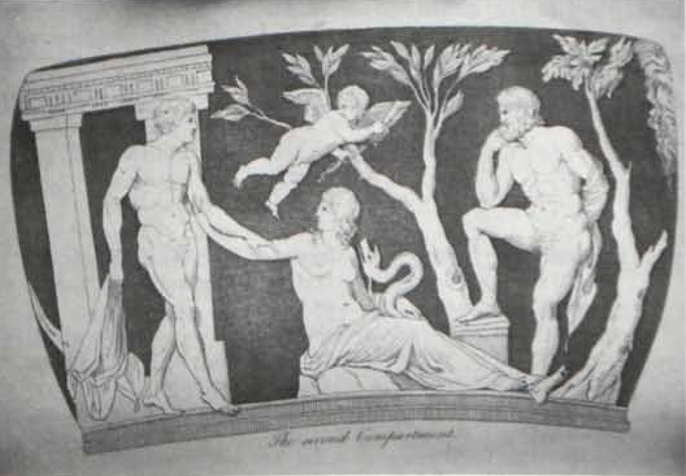 . . .” Klingender’s observation that “Darwin’s nymphs reveal a graceful charm and a mischievous propensity for unexpected metamorphoses into machinery, plants or elemental forces of nature” (p. 37), suggests that they are not entirely unrelated to Blake’s “mighty ones”—or to his Genii, Gnomes, Nymphs, and Fairies for that matter. And, as they burst, the living flame unfold. And the vast surface kindles, as it rolls! And the Web is a Female in embrio. Nature’s “wings of flame” cannot break the net of its own laws. Dampened by the melancholy of natural abstraction, these flames of nature or natural inspiration are merely “another and the same,” or, as Blake saw the process, “the Ashes of Mystery” animating again, “as of old so now anew began / Babylon again in Infancy Calld Natural Religion” (FZ VIII, 111.22-24). Or drink the golden quintessence of day. 9. And all calld it, The Net of Religion. Leonard also reminds us of the central importance and wide applicability of Darwin’s proposal “that all warm-blooded animals have arisen from one living filament, which THE FIRST GREAT CAUSE endued with animality” (Z 39.4, p. 505), relating it to the “fibrous” branching of the globe of life blood, whose “fibres or filaments” Leonard sees as “the life roots of creation.” More interesting, though equally lacking in credible support, is Leonard’s intuitive analogy linking Orc in his initial, simple, form of a worm to Darwin’s primordial filament. For Darwin, the idea of the first filament/fibre/line seems to have accompanied some sort of imaginative revelation, since while lines pass unremarked in The Botanic Garden, after the discussions of fibres in Zoonomia they come to prominence in The Temple of Nature. A reference to spiders in the earlier work evokes a tag from Pope while hinting, as mentioned above, at an analogy between the spider’s “glittering net-work” and the body’s “living net-work”:31↤ 31 George Poulet offers some important remarks on this theme in The Metamorphoses of the Circle, trans. Carley Dawson and Elliott Coleman (Baltimore: Johns Hopkins University Press, 1966), pp. 55 ff. And arts, or empires, live in every line. Swells into spheres, and lengthens into lines. This offers a more encompassing vision of Darwin’s “chemic arts” which “disclosed in pictured lines, / Liv’d to mankind” (EV I.367-68); Darwin’s line is finally the agent and expression of imitation (artistic or “genetic”) rather than imagination.33↤ 33 James Logan writes: “It must be admitted that [Darwin] narrowed down the mental process called imagination to more precise terms than any one who went before him. But in doing so, he greatly limited the scope of imagination; . . . Imagination . . . according to Darwin, is a state in which our ideas are evoked by mere sensation, by the emotions of pleasure and pain; it is best designated by the word revery” (p. 54). Imagined joy, and voluntary woe. Individual words reflect “In parted links the long ideal trains” and are, furthermore, “Chain’d down in characters” to give “to sight the evanescent sound” (TN III.398, IV.266, 268). Darwin himself realizes one now much-discussed consequence of this imprisonment: “the acquirement of different languages in their infancy may affect the modes of thinking and reasoning of whole nations, or of different classes of society; as the words of them do not accurately suggest the same ideas, or parts of ideal trains; a circumstance which has not been sufficiently analysed” (TN IV.398n.). Sphere within Sphere, and form their silken beds. Or in dumb language by tradition taught? 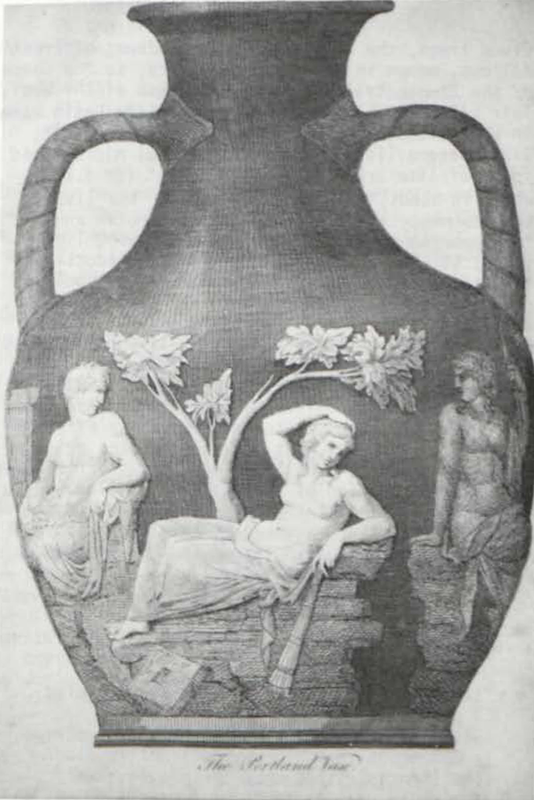 No answer is suggested here, but Darwin’s discussion of the Portland Vase in The Economy of Vegetation pointed the way to an analogy that might have interested Blake. Instinct, the “dumb language,” and the “spirit of imagination” exist outside the immediate organization of lines to effect the transformation of line into expanded plenum: each parted linear link of word is also like a worm, waiting for its wings. 1 The Portland Vase. Courtesy of Robert Essick. 2 The First Compartment. Courtesy of Robert Essick. 3 The Second Compartment. Courtesy of Robert Essick. 4 The Handles and Bottom of the Vase. Courtesy of Robert Essick. perhaps helped to point Blake toward his later use of body-as-garment. And while there are many sources, conscious and not, for Blake’s varied and multivalent serpent images, the following passage must have occasioned some interest: “A little lower down in the group the manes or ghost is received by a beautiful female, a symbol of IMMORTAL LIFE. This is evinced by her fondling between her knees a large and playful serpent, which from its annually renewing its external skin has from great antiquity . . . been esteemed an emblem of renovated youth.” This may suggest another interpretation for the mysterious design in America, pl. 14, where a would-be scholar prays to a seated woman with a fondled serpent between her spread knees. The “death-preaching sibyl” seen by David Erdman is an academic projection—the serpent at the bottom of the plate ejaculates those same flames from which the student, as Orc or “renovated youth” in the design of pl. 10, could emerge. So also the serpent of pl. 11 ridden by children and reined by a young girl could offer extremely positive associations: in the text of pl. 15, the female spirits “glowing with the lusts of youth . . . feel the nerves of youth renew. and desires of ancient times.” As the same design of the ridden serpent appears at the end of Thel, these same associations may affect the interpretation and dating of that final plate, already generally considered as a later addition to the poem. The Psyche of the AEgyptians was one of their most favorite emblems, and represented the soul, or a future life; it was originally no other than the aurelia, or butterfly, but in after times was represented by a lovely female child with the beautiful wings of that insect. The aurelia, after its first stage as an eruca or caterpillar, lies for a season in a manner dead, and is inclosed in a sort of coffin, in this state of darkness it remains all the winter, but at the return of spring it bursts its bonds and comes out with a new life, and in the most beautiful attire. The AEgyptians thought this a very proper picture of the soul of man, and of the immortality to which it aspired. But as this was all owing to divine Love, of which EROS was an emblem, we find this person frequently introduced as a concomitant of the soul in general of Psyche. (Bryant’s Mythol. Vol. II. p. 386). This rich description could serve to gloss many of Blake’s images which point to the cocoon or chrysalis stage of lepidopteral[e] metamorphosis: the couch of death, covering veil, golden bed.38↤ 38 “Gold” enters the association through “chrysalis” (from Greek chrusos, gold) and the aureate possibilities of “aurelia.” “In Eden [Beulah, del.] Females sleep the winter in soft silken veils / Woven by their own hands to hide them in the darksom grave” (FZ I 5.1-2). The female forms weave their veils “in sweet raptured trance” of sexual organization, the “dreams of bliss” of the sleepers of Beulah—reminding us that in the Blakean aufhebung of the image Darwin’s aurelia becomes Blake’s human larva. Time itself is a cocoon: begin page 44 | ↑ back to top “every Moment has a Couch of gold for soft repose” (M 28.45ff). The sleeping (time=sleeping) “for a season in a manner dead” is only prologue to the main event which interested Blake, pupation or “bursting”: “Graves . . . bursting with their births of immortality” (VLJ, E 543). Such references assume a formulaic dimension, emphasizing—curiously—the “bottom” of the grave/couch/cocoon, as when multitudes of warlike sons “Burst the bottoms of the Graves & Funeral Arks of Beulah” (J 89.6, et al.). This bursting consistently represents a kind of de-evolution or birth (as descent, perhaps) into cruel “male forms without female counterparts or Emanations” (FZ VIIa 85.19). The dynamic is perhaps similar to that of “The Crystal Cabinet”—the bursting of which suggests that the cabinet is in part a chrysalis—where the male gets wrapped up in Beulah-love, but by intellectually striving to seize its inmost form breaks the intended pattern of his development and falls back to the weeping babe stage. For all Blake’s emphasis on mental fight and individual exertion, there is a contrasting faith in a kind of spiritual “genetic programming,” a saving “inmost form”—“this was all owing to divine Love,” to use Darwin’s words. But Blake reverses Darwin’s conception of emblem and actuality. 5 “The Tornado.” Courtesy of Robert Essick. with reference to Blake.” Commenting on “the holy Halo” in the first canto of The Economy of Vegetation, Darwin writes: ↤ 39 Roe identifies the painting referred to as Reynold’s “Death of Cardinal Beaufort” (“The Thunder of Egypt,” p. 166). I believe it is not known with certainty at what time the painters first introduced the luminous circle round the head to import a Saint or holy person. It is now become a symbolic language of painting, and it is much to be wished that this kind of hieroglyphic character was more frequent in that art; as it is much wanted to render historic pictures both more intelligible, and more sublime; and why should not painting as well as poetry express itself in a metaphor, or in indistinct allegory? A truly great modern painter lately endeavored to enlarge the sphere of pictorial language, by putting a demon behind the pillow of a wicked man on his death bed. Which unfortunately the cold criticism of the present day has depreciated; and thus barred perhaps the only road to further improvement in this science. 6 Table of Contents for The Temple of Nature, Canto IV, “Of Good and Evil.” Repr. from Scholar Press facsimile. Striking also is Darwin’s spectre-like conception of ↤ 41 Compare the Blakean spectre which “hunts [the] footsteps” of the Emanation (M 32.4-5). And bowels hid in hammerd steel rip’d quivering on the ground. We hear thy sighs in trumpets shrill when morn shall blood renew. And hail THE DEITIES OF SEXUAL LOVE. But for Blake such deification is woven to dreams, and “Sexes must vanish & cease / To be, when Albion arises from his dread repose” (J 92.13-14). This may serve as Blake’s final response to what must have been the most compelling aspect of Darwin’s vision42↤ 42 Hassler notes that “Darwin uses various techniques throughout his verse to make his characters as sensuous and as ‘sexual’ as possible” (p. 83). —a positive delight in sexual organization that had troubled Blake as far back as The Book of Thel.43↤ 43 David Erdman characterizes The Book of Thel as “pictorially and metaphorically . . . a curious counterpart” of The Loves of the Plants; “some of Blake’s flowers and their human forms seem to derive from Darwin’s text, notes, and illustrations. . . . Darwin’s emphasis on sexual encounter and aggressive masculinity seems particularly relevant” (The Illuminated Blake [Garden City, N. Y.: Doubleday, 1974], p. 33). And TASTE sits smiling upon Beauty’s shrine. Lifts her ecstatic eyes to TRUTH DIVINE! Or listening librates on unmoving fins. And there are haunting lapses—as in the verses on the “electric kiss” (EV I. 349-56), or the story of the plague-diseased Aegle and her lover Thyrsis, who “clasps the bright Infection in his arms” (EV IV. 106). And there is still the pleasure of “archeological” discovery; who knows?—someone may yet vindicate Richard Edgeworth’s belief that “in future times some critic will arise who shall re-discover The Botanic Garden and build his fame upon this discovery. . . . It will shine out again to the admiration of posterity” (cited in Logan, p. 94). But anyone, surely, can safely take the pleasure of reading Darwin once. With fatal smiles her gay unconscious son.—(I. 125-26). The second edition drops the wonderful sequence about the Polish salt mines and their underground cities (first ed. IV.309-26). for the student having access to both reprints or to other later editions, but offers a slightly less successful text for the single-copy reader. 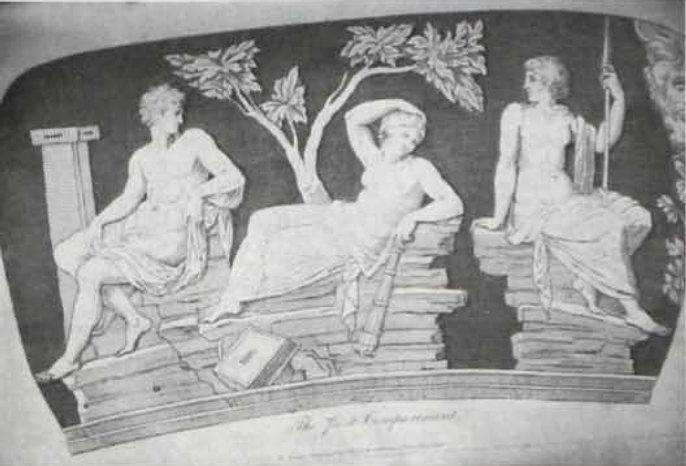 The Garland Temple of Nature also includes The Golden Age, a parodic epistle in verse issued under Darwin’s name; the fact that one university bibliographer once accepted the attribution hardly justifies its inclusion, which only serves to make one the more regret the exclusion of the truly damaging parody, “The Loves of the Triangles.” Still, every undergraduate library should now include Darwin, and for those that do not, the Garland edition would be the easiest solution.